Chris Fielding, CIO, Sungard Availability Services, talks about the predicted evolution of the data centre landscape and the benefits of colocation. For many organisations, it’s just not feasible to fund, build and staff a state-of-the-art data centre facility, complete with heating, cooling, power and network connectivity. For one, a data centre needs to be as flexible as the demand for the services which run upon it, making it difficult to forecast how much physical space should be set aside for IT footprint. On top of the cost of building or expanding the physical space required for a data centre, organisations must dedicate more capital outlay to ensuring the resilience of IT infrastructure – through backups, disaster recovery, security and Uninterruptable Power Supplies (UPS), as well as protection from natural disasters, fire or flooding. To meet the demands of end-users, avoid disruption hindering productivity, ensure business resilience and align with industry standards of high availability, a data centre needs to be operational 24/7. At the same time, these imperatives need to be met within predictable and affordable pricing structures. Furthermore, fuelled by the need for additional space or to upgrade their facilities, many organisations are looking to third party providers who can provide dedicated services that offer the tools, space and security required to keep IT resilient, while also reducing running costs. According to Gartner, 80% of enterprises will have shut down their traditional data centre by 2025. At the same time, the global data centre colocation market will grow 17% CAGR, exceeding US$90 billion in the next five years. What are the factors driving this growth? Although organisations of all sizes will continue to squeeze all possible value out of their existing investment in on-premise IT, there are two main factors driving the transition to colocation when the time is right – demand for high-availability services and the shrinking IT talent pool. As the volume of data to be stored and processed has exploded, so has the level of complexity of networking and connectivity tools. 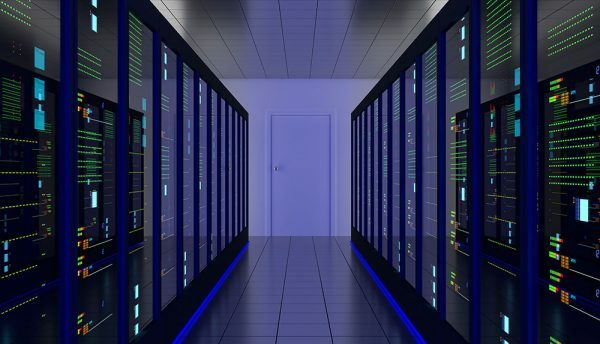 As a result, colocation data centre solution providers have opened new streams of revenue through value-added offerings – such as skilled managed IT services, Internet solutions and interconnection services based on enterprise requirements. Depending on the colocation solutions contracted, support staff can provide comprehensive technical, administrative and engineering help to ensure the smooth running of an enterprise’s data centre on a day-to-day basis. Organisations are realising that having in-house, skilled workers capable of delivering the level of data centre management and maintenance required for high-availability services is not sustainable. According to technology skills and education provider, CNet Training, for many years, parochial data centre recruitment and a lack of clarity from the school level onwards on the career path towards data centre management have caused the talent pool for skilled workers to shrink. When it comes to recruitment, it is becoming apparent that if the mountain will not come to the organisation, then the organisation must go to the mountain. The data centre talent pool simply is not large enough for organisations to recruit in-house skilled workers. Simultaneously, data centre colocation facilities are naturally more attractive to prospective IT talent as a result of the diversity of systems, needs and tools housed there – providing a more promising career development path for staff than that which is ostensibly offered working in-house. The data centre is the beating heart of an organisation. With Digital Transformation high on the global agenda, operational structures are becoming increasingly entangled with technology, exacerbating the impact data centre issues can have on both productivity and profits. Data centres need to be resilient when IT failures inevitably occur, adding another layer of cost to IT budgets. Increasingly complex networks of dependencies are driving up the cost of prevention and resilience – the two pillars of effective business continuity strategy. As a result, organisations are looking to consolidate their rising cost by moving mission-critical infrastructure to the sanctuary of the colocated data centre facility. Thanks to the multiple layers of redundancies built into these facilities, single points of failure can be prevented from bringing the whole network down, ensuring service levels remain in a constant state of high-availability. There are more pragmatic reasons why organisations choose to host their IT workloads away from their base locations. Circuit boards, transistors and other circuit components not only produce a lot of waste heat that needs to be controlled in a sustainable way, but are also susceptible to both malfunction and failure if the environmental conditions in the data centre are not at the right levels. If the air is too humid, water may begin to condense on internal components; if the air is too dry, ancillary humidification systems are required to avoid static electricity discharge problems. Organisations are looking to colocating physical IT infrastructure in facilities offering intelligent environmental control systems, such as Building Monitoring Systems (BMS), smart cooling systems and independent alarms for heat and smoke. 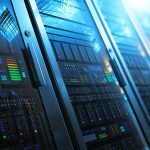 Whether it is instilling IT infrastructure with the resilience required to keep up with today’s technology-defined operational structures, or finding the right skilled workers to maintain them, the advantage of colocated over on-premises data centres are clear from the perspective of cost benefit. Colocation data centres provide a predictable and scalable cost structure, so an organisation only pays for what it uses, meaning it has access to as little or as much space, power and cooling as necessary. 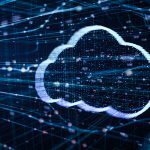 Public cloud has also gained huge momentum as an alternative to a traditional colocation approach. Its speed and agility can be incredibly well suited for a great deal of the workloads being used today. Across our own business we have replicated our European data centre into the public cloud which has given us incredibly fast recovery times. As the adoption of cloud-based data centres continues on the predicted trajectory, it is worth mentioning that not all workloads will be suitable for a cloud approach and organisations should be careful before investing in a virtualised service, it is vital to seek the correct support and advice before pushing everything to the cloud. Organisations need to make best use of the investments they have already made in their infrastructure and have a clear understanding of their needs before committing to IT change programmes. Many CIOs I speak with are looking for opportunities to significantly reduce their data centre estate and critically assessing a move to colocation in some form or another. It is simply a case of ‘when’ and not ‘if’.